Wow, this product is amazing. Thanks for creating it. One click and the whole character is converted to iray. Just wondering about the Pores script. I have applied it to Mei Lin 6 (Pores High Level), but could not see the effect of it on the render. Could you please post, if possible, what lights have you used for the promo renders. Thanks in advance. Below is my render. I have used Anagenessis II on Mei Lin 6 and the clothes. Pores are visible on close ups. But if you want from a distance, increase top coat glossiness & curve 0 (don't push the values). You can also play with Brightness Presets to fit the skin to your taste. If I understand correctly, this replaces any other conversion tools for Iray? I can one-click this on any figure and they'll all look good for Iray? What interests me most are the pictures fo the stand-alone creatures... Can anyone confirm this is one-click for them, too? Do results with this make, say, the Dragon 3 default textures look as good as the specialised Iray skin textures available? Also interested in what results this might achieve for things like vehicles, robots and props. Has anyone experimented with those? Here is my NGS test. Regular iRay is on the left. You really can see the difference in the lip area. Thanks, Dimension-Z. Will try your suggestion. Only user can tell you if he did any tweaks. Looks interesting. How does this work with Reality? Does anyone know if it will it help iray look better when using it? The product is designed only for iRay. But you can test by yourself to see the results in Reality. I'm very interested though! Sorry, I thought that by quoting him I was making it clear that I was addressing him directly. Thanks for answering anyway. You can also have set default library path an internal or external disk. Not necessary on C drive! Dimension-Z, just to clarify. In DAZ install manager you must set your default library location. Anagenessis II must be installed to that location and the content you want to apply Anagenessis must also be in that folder. That folder can be on any drive. If I have my content in sub-folders of this folder will it work or does all my content have to be in one folder? An example that won't work? because Anagenessis and Genesis 3 figures are in different folders this would not work? I have to install all my content to use with Anagenessis into the same folder as Anagenessis? Therefore everything must be installed to R:\RUNT/DAZ DIM/S - DS Addons for it to work? It's not important to have Genesis figures and NGS on the same folder. You can try install it as you are right now. You want to install it via DIM or Connect? Could you clarify the usage of this product as a merchant resource. I read the read-me but there were no specifics. 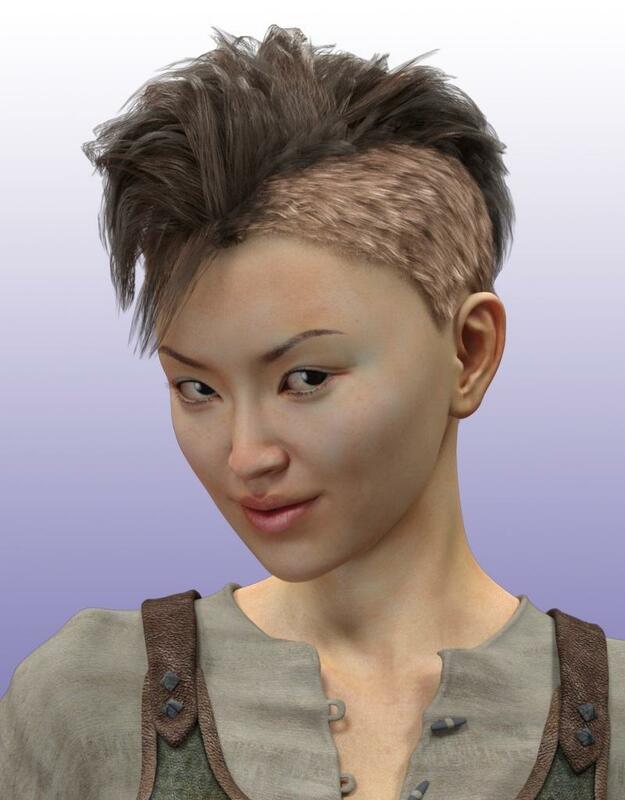 Would a commercial product using your skin shader presets require the purchaser to also own Anagenesis 2? Specifically the shader uses textures specific to Anagenesis (micros). Are you permitting redistribution of the micro textures with commercial products, either in altered or unaltered form? Thanks in advance, and so far it's looking like a nice product. Very dark skins might need some tweaking of the reflectance tint for my taste, but otherwise the results look very nice. So you wont have any problem. If so I'm here to help. I'll try it tonight when I get home. It has not support for gens. Or an addon for gens. Just please be patient. It was too hard for me to make all this "beast" to working. Character question - who is the orange guy baring his teeth, bottom left of the email ad? There is also a picture of him on the product page, picture 16. Thanks! If you mean this guy, He's Freddy Krueger. Freebie Prop with one VERY VERY LOW Resolution diffuse map! I install everything manually -- unless it comes in a Bitrock installer. Does this? If not, am I to understand that it gets installed in the Application folder? I'm really interested in this product, and promo pics look awesome, but I'd still like to see some proper before and after pics. 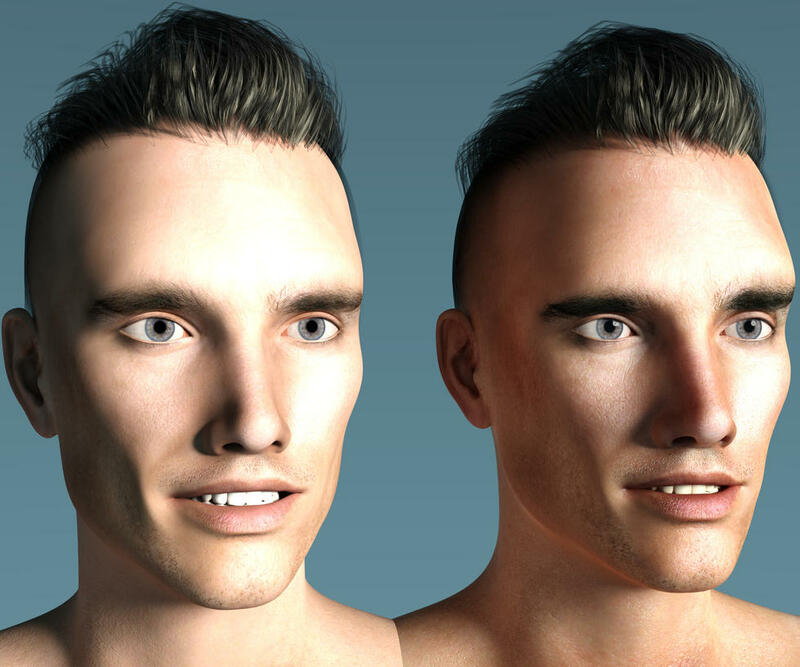 You know, same lighting, same camera angle and close enough to see the skin clearly, so it's easier to see the difference when compared to normal Iray skin. I did nothing but add the effect. I did no post or anything. What you see is exactly what was rendered. Has anyone tried this on products with a darker skin tone e.g. Monique? How are the renders looking? I thought Monique's skin came out too dark and muddy looking for my personal taste, but if you lighten the SSS reflectance tint, it looks much better.